The first one of these is a 4-channel, high-side power controller. 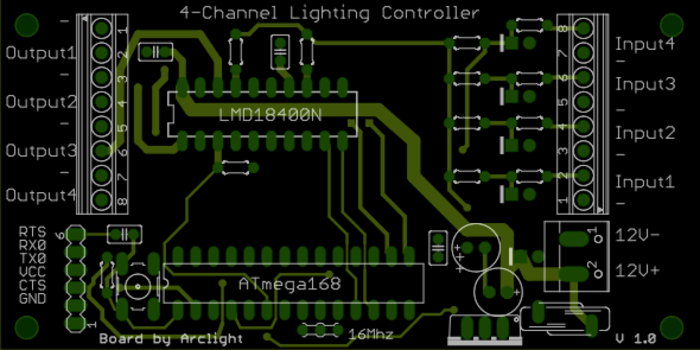 It has 4 inputs (2 interrupt-driven), and Arduino-compatible based on the RBBB, and 4x3A positive 12V outputs (common ground). 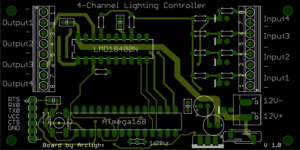 This is a perfect board for controlling common-cathode LED lighting, or could be used as a small, 1-door Wiegand controller with Open Access Control automation.